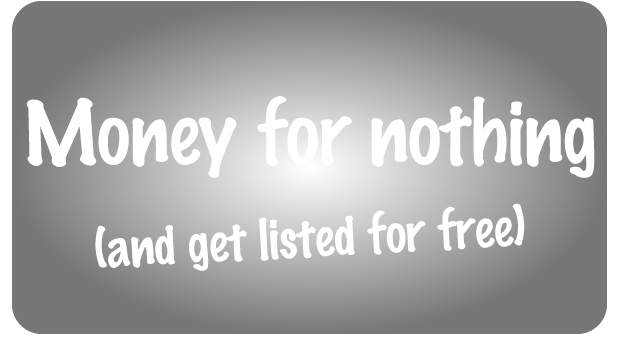 Get listed in the top five Business Directories for free. Yes free! Who doesn’t want something for nothing. Improve your web presence easily by adding your business details to these business directory sites. A little bit time heavy I grant you but it’s worth it to increase that elusive Google page ranking. Just make sure you always include your website link, company logo if possible and most importantly write unique content on each one. Then you should be soaring to the top of your Google rankings in no time. I know its tempting to cut and paste content from your website but don’t! Google doesn’t like it and you’ll get the cyber version of the cold shoulder, nobody wants that, least of all your growing business. There are of course a whole host of business directories out there and these are just a select pick of the bunch. So in no particular order get yourself busy on the following. This is a well-established site, an oldey but a goody. Regularly crawled by the Googlebots so your listing should appear in Google search results within a day. Remember those iconic Yellow Pages that made a great door stop? This is the online version. Register here and your business will appear in Google searches, yell.com searches and the mobile app. You can add lots of keywords, plus your social media links and website. For more help marketing your business get in touch with The Marketing Hive for a free no obligation chat.